Overview: This was our very first experience of Portugal – crossing by ferry from Ayamonte in Spain and heading west through the Algarve. We mostly followed the coast but swung inland to avoid Faro as we were concerned it might be too busy to make for pleasant cycling. As a result, we ended up following fairly major roads as many perfectly decent back roads are not even marked on this map (and local Portuguese maps were even worse). Since 2005, a lot of road-building has also taken place in Portugal and the N125 – which is the region’s main east-west artery – has got even busier. The second map – scroll to bottom of the page – shows the route that I would take if I was going to ride across the Algarve again. Distance & Difficulty: Total distance of around 160km (100miles). This was all fairly easy cycling. The landscape gets a bit more rolling heading inland towards Loule but there were no major hills. The Algarve has a large ex-pat population (particularly British, Dutch and German residents) and does see some tourists year-round. However, the main tourist season generally starts around Easter, gets steadily busier, goes crazy in July and August and then gradually dies away with the crowds not really vanishing until well into October. One other very important consideration if you’re thinking of cycling here is the heat. The Algarve gets extremely hot in the summer – regularly 40C+. If anything, the Algarve is much better as a winter cycling destination. Although rain and bad weather can sweep in off the Atlantic, you can also get days and days of glorious sunshine throughout the winter months. We were here in January and while cold at night we didn’t have a drop of rain and the days were stunning. We were also in Lagos during January 2014 and although we had some rain and a cold north wind, most days would have been perfect for cycling. Note: There is a designated cycleway – the Ecovia Litoral – running right across the Algarve but I wouldn’t recommend it! Some of it is planned, some supposedly completed. However, the section to the west of Lagos (apparently finished!) is so badly signposted (Jan 2014) that it’s hardly worthwhile. It also uses a mix of road and off-road sections so won’t suit everyone. I’ve also heard other less than favourable comments from other cyclists! The link to the site is above but I’m not sure how useful it is – I tried to look at some of the maps and just got a satellite view that showed a starting point and nothing else. Seems par for the course! Stages: We did this in three days of riding – a short ride of about 30km to Tavira, followed by 40km to Loule and then a longer day of about 85km to get to Lagos. We caught the passenger ferry from Ayamonte early in the morning and then started heading west along the coast. The change between Andalucia and the Algarve is quite dramatic – Portugal is much greener. It’s worth making a detour via Cacela Velha. A lot of the Algarve coast is over-developed but this little village seems to have escaped. It’s a pretty spot with a small fort overlooking the start of the lagoons and sandbars that line most of this coast. As you head west, it gets much more developed – golf courses and holiday villas – but mostly still quite pretty. Tavira itself is a lovely old town in a pretty riverside setting. The centre of the town still has a real Portuguese feel. It can get busy – lots of menus in English, German etc – but it’s a pleasant place to wander around outside the main holiday season. From here, you can also get a boat out to the beaches on the Ilha da Tavira. Continuing west you have a choice of either sticking to the coast and going through Faro or heading inland towards Loule. We opted for the quieter option. It’s not the most inspiring of country (we were there in January) but the roads weren’t too busy and Loule was pleasant enough. 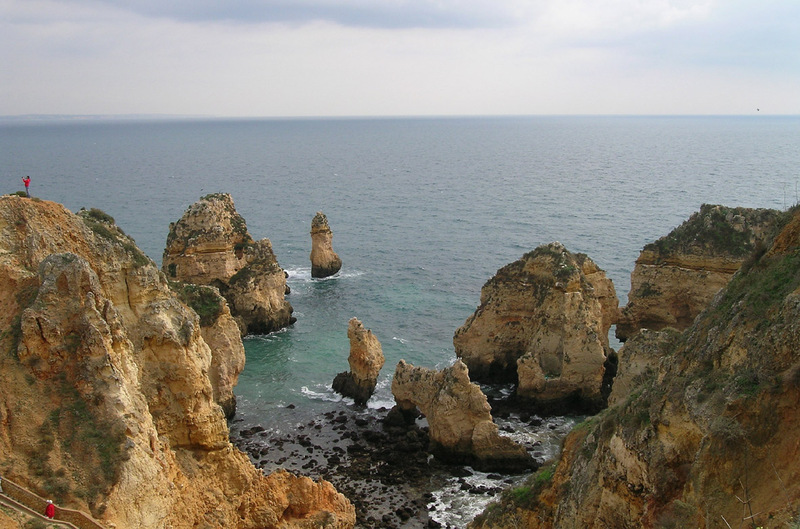 West to Lagos: It’s a mixture of pretty countryside, rugged coast… and sprawling holiday developments as you continue west through the Algarve. There are unspoilt sections but also acres and acres of apartments to get past. It’s worth avoiding Albufeira unless you’re really missing a traditional English Sunday lunch but after that the coast road does offer views of a lovely coastline as well as sometimes endless-seeming villa complexes. 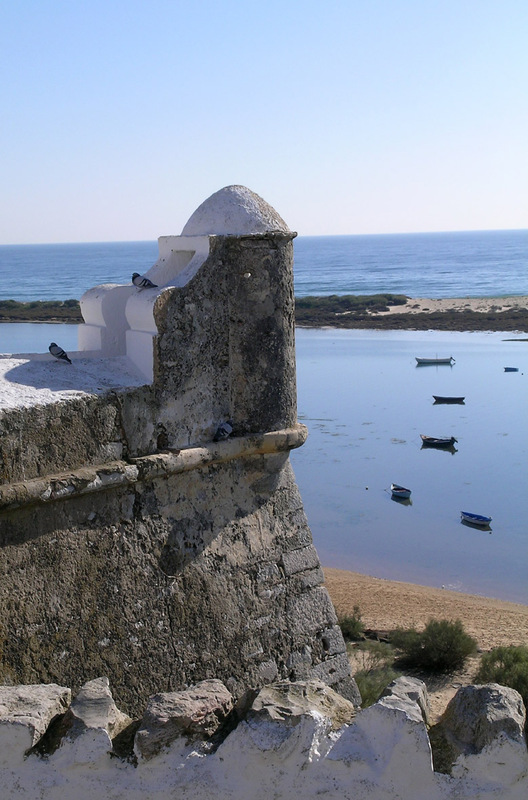 After Carvoeiro – which isn’t bad out of season – the route takes you through Portimao, one of the Algarve’s biggest towns and not really known as a tourist attraction. 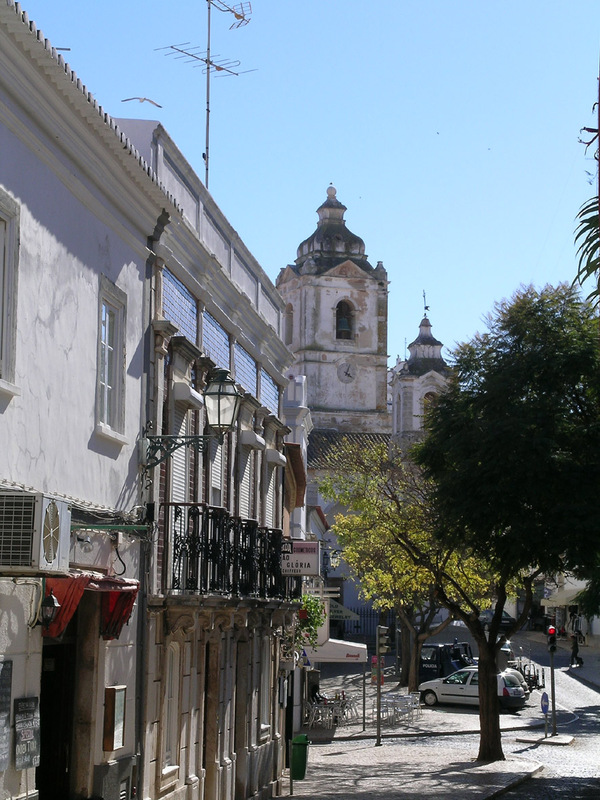 Continue on west and into Lagos, which is one of the nicer and more historic towns in the Algarve. The old centre lies on the west bank of the river and provides an attractive stopping place. Notes and explanation to follow… or email pedalportugal@gmail.com if in need of advice. Accommodation & Provisions: You’ll never be that far from a town or village on this part of the route if you need to stop for supplies or something to eat/drink. ,There are also plenty of accommodation options – including campsites all along the coast, most open all year. Awesome so far. Joined the route at Tavira and have stopped just past Loulé. Some pretty challenging climbs for a fully loaded tourer but doable. There will be some more to come! But the scenery is worth it. Glad you’re enjoying the ride.